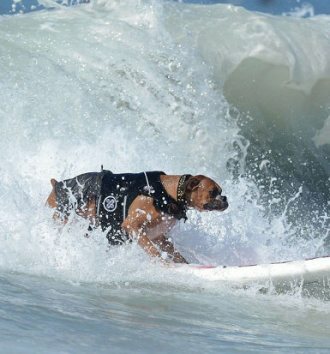 Heroes comes in all shapes and sizes -and species it seems. 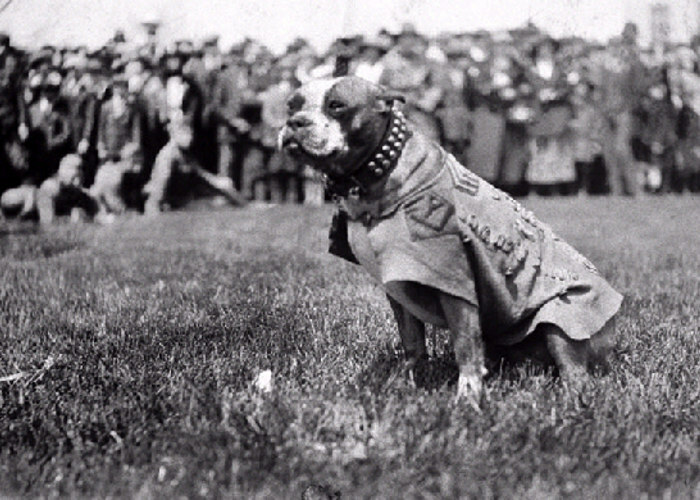 It's common knowledge that dogs and horses served in the military, but there are also other species that rose to the occasion with loyalty and bravery. Here are a few animal war heroes who made their species, and us, proud. 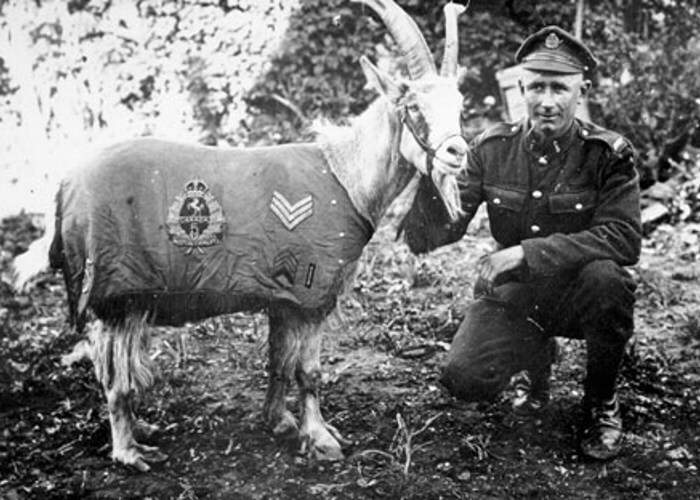 A group of Canadian soldiers bought a goat as a mascot while they were passing through Saskatchewan and managed to smuggle the goat into France. They named the goat Bill, who stayed with the unit, surviving shell shock and trench foot. Through all of this, Bill was credited with saving at least three lives when he head-butted men into a trench to avoid an exploding shell. Sgt. Bill was honoured with numerous awards including the General Service Medal and the Victory Medal for his war efforts, and after he retired, he returned to Saskatchewan. Bonus fact: He was once arrested for eating military equipment. 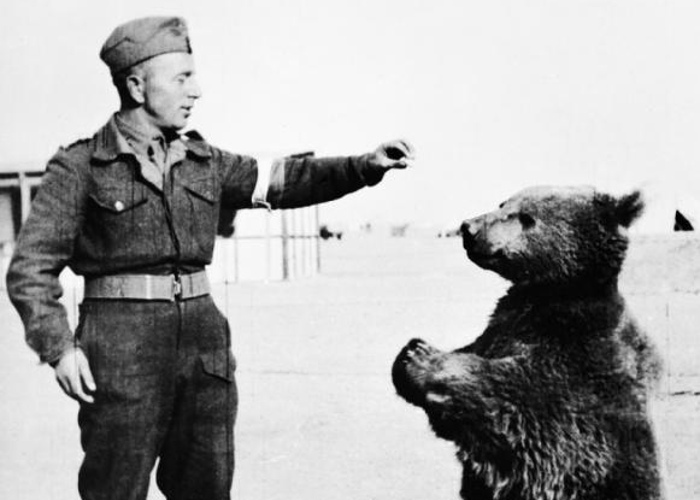 Wojtek was a Persian bear cub who was adopted by a unit of Polish soldiers training in the Middle East during WWII. The Artillery Division raised him the best they could, and when the unit was deployed to Europe, the only way they could take Wojtek with them was to make him an official soldier. That's how he became Corporal Wojtek of the artillery supply unit. The bear’s shining hour came during the Battle of Monte Cassino, when he loaded 100-pound boxes of artillery shells into trucks every day until the battle was won. The army honoured Wojtek by putting his image, carrying ammo, on the unit's official badge. Bonus fact: Wojtek's favourite activities ctivities included wrestling, drinking beer, and taking showers. 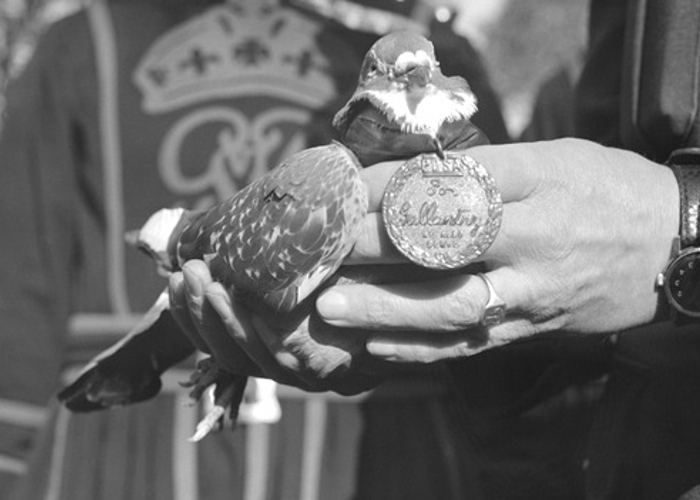 Even though there were quite a few carrier pigeons honoured for their service during the war, Joe was the first non-British animal to be awarded the Dicken Medal. Joe was American pigeon and performed an important task during a British advance on the town of Calvi Vecchia, Italy. A message was strapped to Joe as radio communications couldn’t reach an airfield 32km away. Flying at amazing speeds, Joe covered 32km in 20 minutes! His message reached the airfield just in the nick of time as the bombers were taxiing for take off. With only five minutes to spare, the bombing run was cancelled, saving the lives of hundreds of British troops. 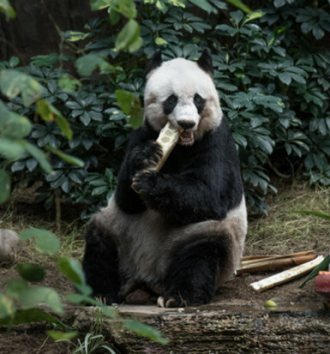 Joe retired to the Detroit Zoological Gardens after his military service. 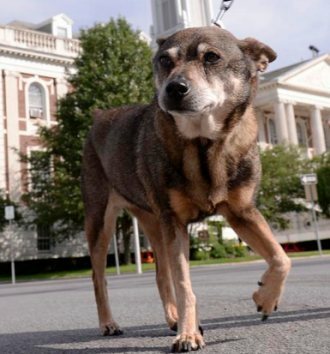 Wandering into an encampment, Stubby the dog was adopted by the 102nd infantry of Massachusetts in 1917. When they were shipped out to Europe, they managed to smuggle Stubby onto the ship bound for France, where his job was to kept watch and alerted the troops to German attacks. When his master, Corporal J. Robert Conroy, was wounded, Stubby accompanied him to the hospital and did his bit to cheer up the troops. He eventually became a highly decorated dog, being awarded medals for service, a Purple Heart and various veteran's awards. Stubby returned home at the end of the war and became a local celebrity. He was also made a lifetime member of the American Legion, the YMCA and the Red Cross. Bonus fact: He once found a German spy and held him by the seat of the pants until American troops could complete the capture. 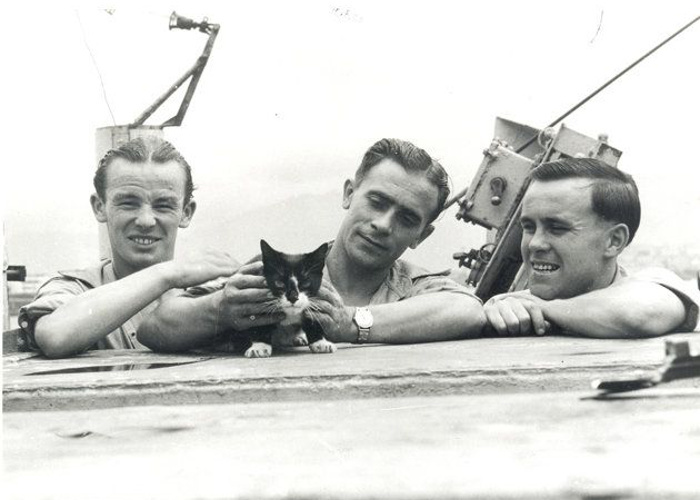 Simon was a Hong Kong cat that was taken aboard the HMSAmethyst with the job to control rats aboard the ship. In 1949, the ship was attacked on the Yangtze River in China by communists, and once the injured sailors had been evacuated, Simon resumed rat catching duty, and he also added visiting sick and wounded sailors to his list of duties. Upon return to Hong Kong, Simon was presented with a campaign ribbon and also a Dicken Medal - an award for animal gallantry. 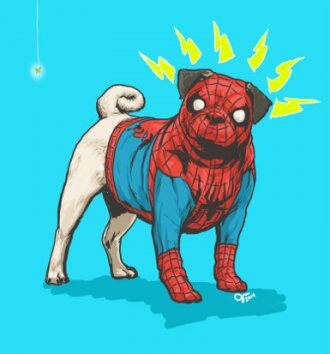 Illustrator and comic book fan Josh Lynch decided to show his love for his dogs by turning them into superheroes. A fourth candidate has entered the mayoral race in Schenectady, New York. Her name is Diamond, and she’s a dog.